Students save money when purchasing bundled products. 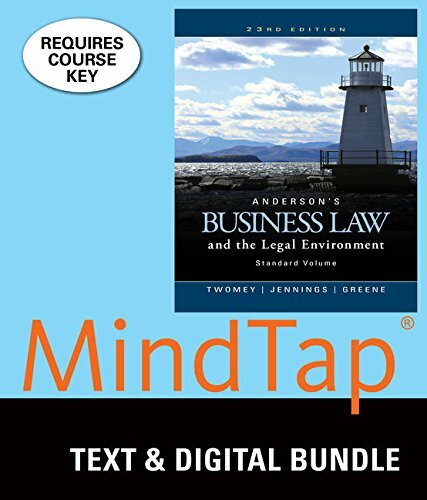 This bundle contains a loose-leaf version of Anderson's Business Law and the Legal Environment, Standard Volume, 23rd Edition and access to MindTap Business Law for 1 term (6 months) via printed access card. MindTap Business Law provides you with the tools you need to better manage your limited time--you can complete assignments whenever and wherever you are ready to learn with course material specially customized for you by your instructor and streamlined in one proven, easy-to-use interface.